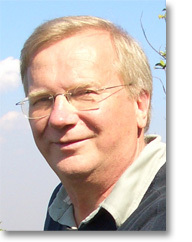 Lars-Håkan Svensson is a Swedish poet, translator, critic and professor of literature. Born in Lund in southern Sweden in 1944, he grew up in the small town of Landskrona. After studying Classics and English at Lund University and living in Britain and France, he took his doctorate in 1980 and taught English literature at Lund until 2002 when he took up his present post as professor of language and culture at Linköping University. His scholarly interests include Renaissance poetry and modern Irish and American poetry. His most recent publication is an edition of the Swedish artist Carl Fredrik Hill’s Dikter och författarskap på några språk [Poems and Writings in Some Languages], 2008. He has published three volumes of poetry in Swedish and, with Lasse Söderberg, has co-edited the poetry review Tärningskastet [The Dice Throw] and Svenska prosadikter [Swedish prose poems], 1982. He has translated widely from Greek, French, Italian, English and Danish: Euripides’ Helen and Sophocles’ Antigone, with Jan Stolpe; two long poems by John Matthias; a selection of Paul Muldoon’s early poetry; and two volumes of Les Murray, with Jonas Ellerström and Stewe Claeson. In 2001 he translated Tomas Tranströmer’s and Robert Bly’s correspondence into Swedish (Air Mail) and, with John Matthias, a selection of Jesper Svenbro’s poems into English (Three-Toed Gull, 2003). He is currently preparing translations of Valerio Magrelli, John Matthias, and Paul Muldoon into Swedish. He lives in Lund.